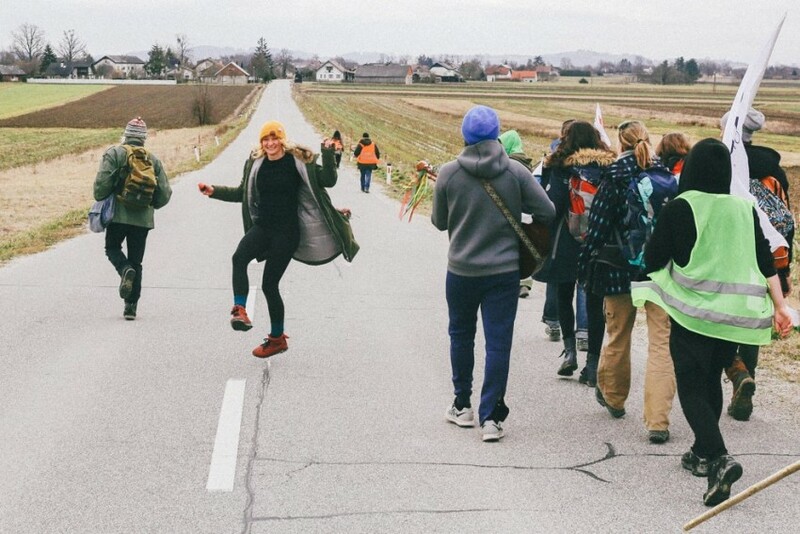 On December 26 hundreds of young people left Berlin and headed marching towards Aleppo. What they demanded is help for civilians, protection of human rights and reaching a peaceful solution for the conflict in Aleppo. 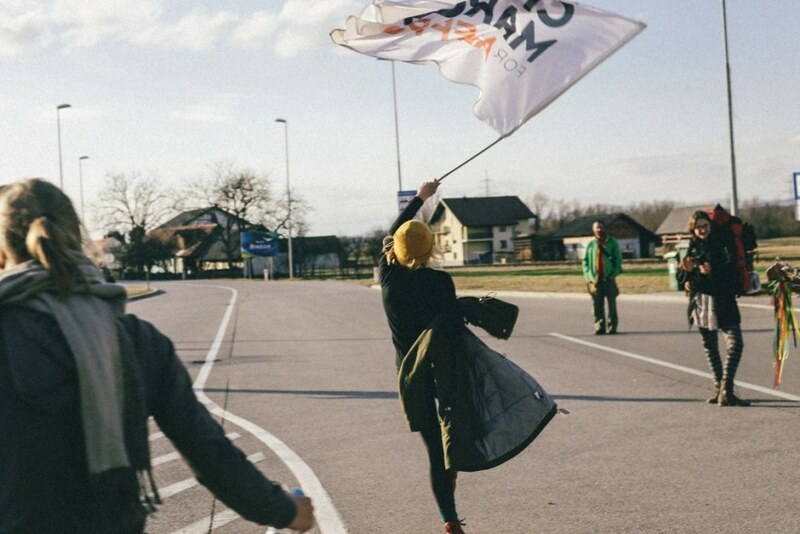 The Civil March already passed through seven countries and has now arrived in Macedonia. 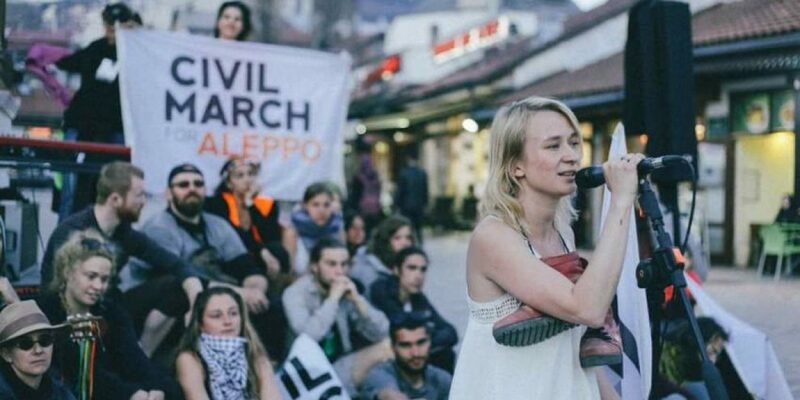 We used this unique opportunity to talk with Anna Alboth and see her perspective of the Civil March for Aleppo. Mladiinfo: A mother of two, journalist, blogger, activist – who is actually Anna Alboth? Anna: All of this! It’s just all consequence one of another. As a journalist I gathered a lot of knowledge, as a blogger – I gathered some publicity and followers, as a mother – sensitivity for the world and will to react. I believe that people should do things they are able to do and they feel they should. I felt that I could and had to organize the Civil March For Aleppo. Mladiinfo: Where did the idea for the march come from? What was your main motivation, passion and drive to take a step forward and raise your voice? Anna: I always liked to raise my voice when I disagree. What was happening in Aleppo and whole Syria in December was for me too much. I had a choice: I close my laptop and tell to myself: “It’s far, it’s not my thing” or I start to seriously act. Going on demonstrations, sending petitions and clicking sad faces on Facebook was not enough and I had energy for more. So I asked my friends: what if we all stand up and go? And suddenly I had few hundreds people from all over Europe feeling the same. Until now more than 3000 people took part in the march. 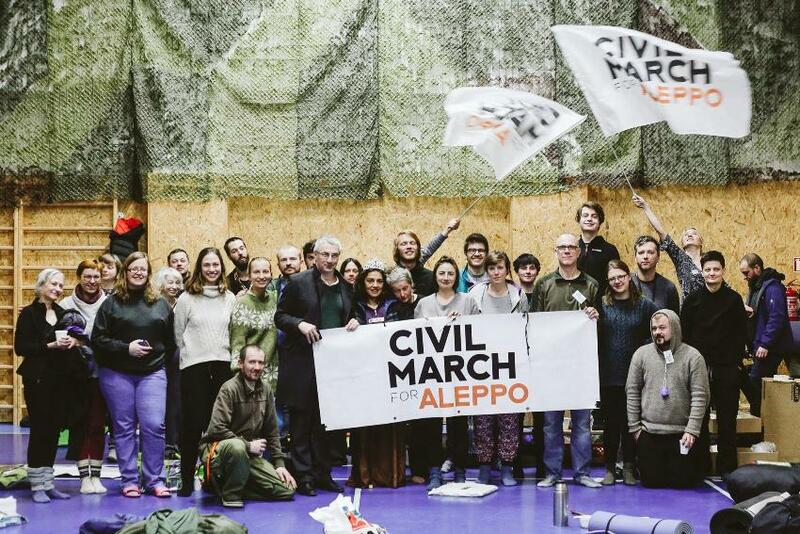 Mladiinfo: The Civil March for Aleppo, let me say, at first sounds a bit too daring and courageous, and I assume people were asking you: “Do you really plan to go to Aleppo knowing what’s happening over there?”. What were the reactions by the people, what was your response? Have you ever wonder if this is really “the right thing to do”? Anna: Yes, there is war out there. The civilians in Syria cannot walk freely, travel through the country, cross all the borders and besieged areas. If we are there tomorrow – of course we cannot cross too. But that’s wrong, it shouldn’t be like this. 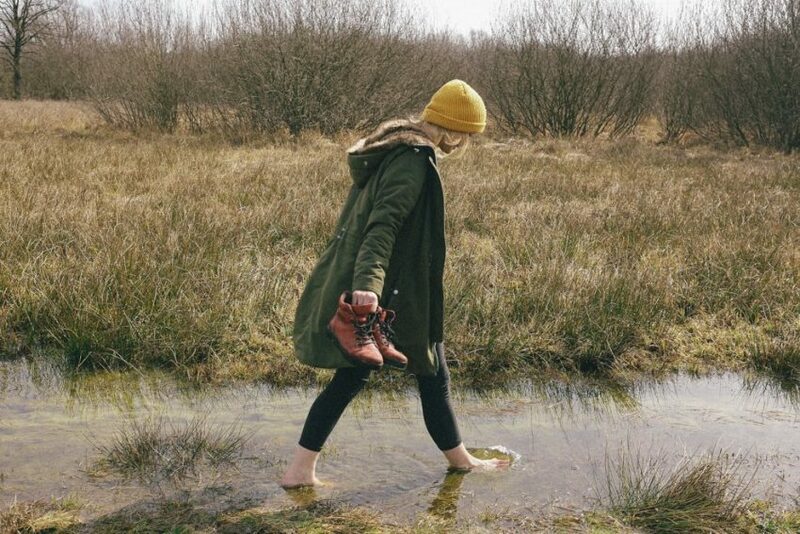 And we want to say it very loud, by walking this direction, every day we are closer. If it’s the right thing to do, not to forget about the people, who are in need? Show them our solidarity? Show ourselves that we are not helpless, that we can do things? Meet with hundreds of people, be followed by thousands, forced them to think again and again about it? The more eyes look at us, at Civil March For Aleppo, the more eyes look at Syria. And the more eyes look at Syria, the more difficult it is to do bad things there. Mladiinfo: What did you initially wanted to achieve? From the period you’ve started the March, what do you actually see being accomplished by now? Anna: I was sure that the March will bring good things. Smaller or bigger. But I haven’t expect that they will come so soon. That people taking part: will be coming back again and again, but also will start doing things at homes just after coming. We are daily gathering like-minded people, who give each other motivation and ideas. We are learning a lot: from Syrians, we meet on the way, from experts on the topic of fighting for peace. We are day by day becoming a stronger movement with knowledge and will. Syrians also believe in us more and more, because we are already more than 3 months on the roads, crossing our 8th country. It’s not a joke. We survived -16 degrees in Czech Republic, we survived hours of serious discussions. We are just more sure that it’s the right thing to do. Mladiinfo: Could you describe the feeling while marching? How many of you are on the road, do locals show interest to join? What are the main challenges you face daily? Anna: We needed to build some structures and rituals: what time do we get up, how do we organize breakfasts and places to sleep. We are between 20 and 200 people every day, the group is changing all the time, the weather is changing, the political systems in each countries are changing, the rules of registering demonstrations, of walking on the streets, of dressing up – are changing, the challenges are changing. We try to reach as many people as possible, so we spread the leaflets on the way, we hang posters, we organize meetings in schools, churches, mosques. We take part in the debates, media meetings. 24/7 there are things to do, organize and decide about it. It’s a beautiful project, but very tiring too. Mladiinfo: Getting closer to Aleppo, what thoughts run through your head? Are you worried about your safety and the safety of the marchers? Anna: Of course we think about very different scenarios. We discuss with many experts. We try to make the best out of our few months-non stop effort. Taking an action always includes risks. But until you are trying it’s not a failure. Some people are waiting for perfect moments to start to act, to take some decisions. I believe in taking moments in your hands and making it perfect. Let’s dream with care, but let’s not be afraid of dreaming big. Mladiinfo: This weekend you are reaching Macedonia. What is your plan and agenda during your stay here? This is not your first time in Macedonia, right? Anna: We will spend 11 days in my dear Macedonia. Yes, I was here before and I have no doubts about the support and hospitality of Macedonians. At the weekend we will try our best to be visible in Skopje – please come and join us! You can find all the details on our Facebook page. Mladiinfo: Any message you would like to share with the fans and followers of Mladiinfo? Anna: It counts if you join us even for one hour. Just imagine that every European would join the March, symbolically, even for one hour. We would be huge! And Syrians are watching us. They might not have water, food and medicines, but they have internet. And they know very well if we are watching their pictures and videos and how many of us don’t care. Would you like to feel it too? Let’s show them, and also all the decisive people, that we don’t agree. In international group (we are more than 33 nationalities! ), first tie ever on such a scale. Let’s try!